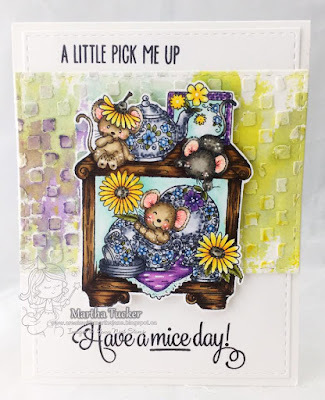 Today on the Your Next Stamp Blog the DT Dare is too create something uplifting. There are so many ways to lift someone's spirits, and giving them a card with an adorable image like this is just one of them! Martha..just love your cards, this is just precious.